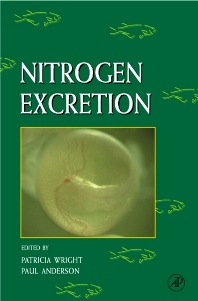 This book provides a comprehensive collection of timely reviews of our current understanding of the fundamental principles of nitrogen metabolism and excretion in fish. Emphasis is placed on critical assessment of how new studies impact these topics, and the articles reflect the diversity of current research approaches. Fish physiologists and biochemists involved in the study of gas exchange, ionregulation, osmoregulation, nutrition, and digestion. University of Minnesota, Duluth, U.S.A.